Samsung’s newest addition to the Note family comes not as much of a surprise. 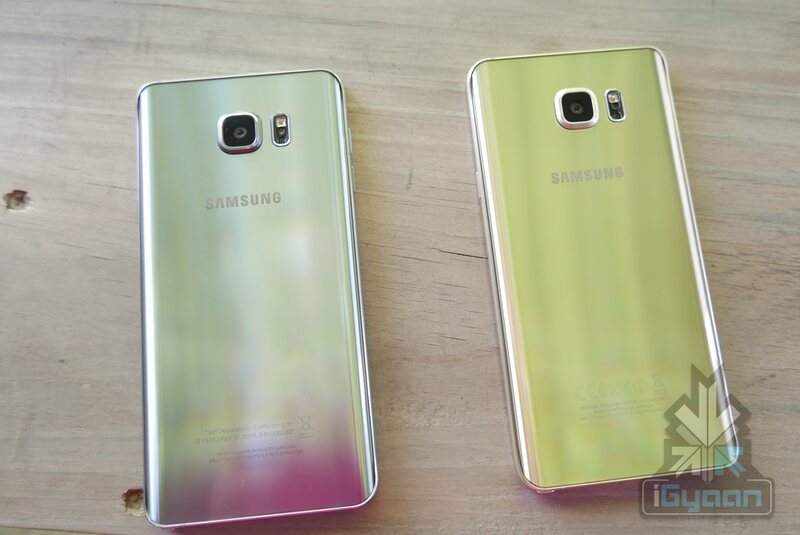 Especially after all the leaks and Samsung setting precedent with its S6 and S6 edge. Samsung has found the right mix of hardware, software, build and design for devices this year. 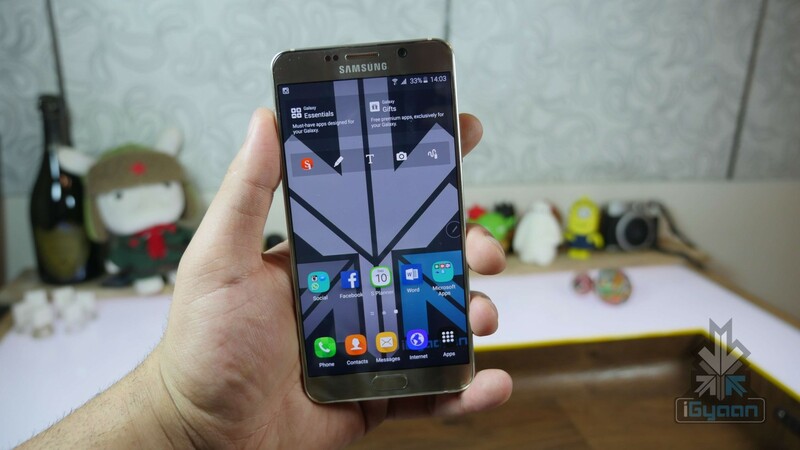 Does the Note 5 fit right in? Let’s find out. Without changing much, Samsung has made major changes to the handset. The new Note 5 is a positive step ahead for the company, taking in major feedback from its consumers and acting upon it. 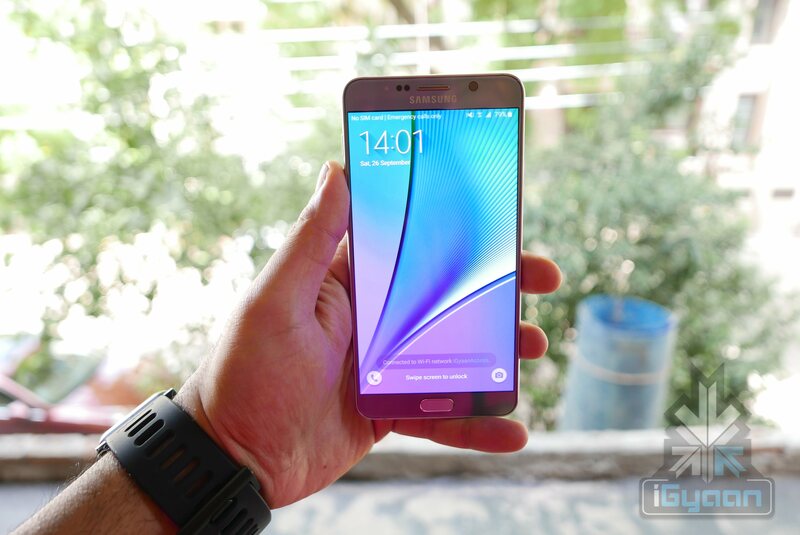 The Note 5 is priced at Rs. 53,900 for the 32GB version and Rs 59,990 for the 64GB variant. 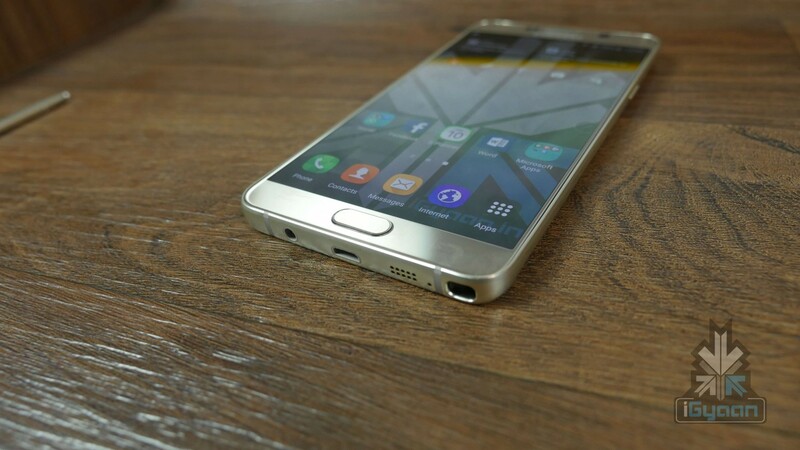 Samsung has used the same design philosophy as seen in the Galaxy S6 and Galaxy S6 Edge along with the Galaxy S6 Edge Plus for the new Note. Bringing in a totally new and young look to the otherwise bold and business handset. 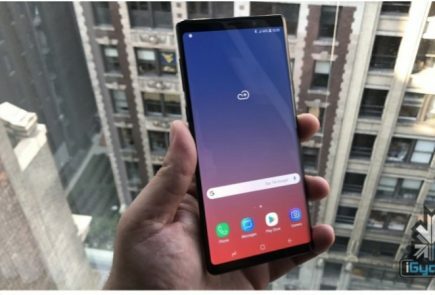 Samsung wins this year for good looks, as the company has finally reached a point where its handsets are the most impressive looking mainstream Android devices in the market. The Note 5 is no less, although, personally, we feel the Galaxy S6 edge and edge+ remain at pole position when it comes to looks. The new Galaxy Note 5 comes in a close second, thanks to its extensive use of glass and metal. Gorilla Glass 4 on the back and the front, the rear glass tapers in to the edges, putting the edge display design on the back of the Note 5. 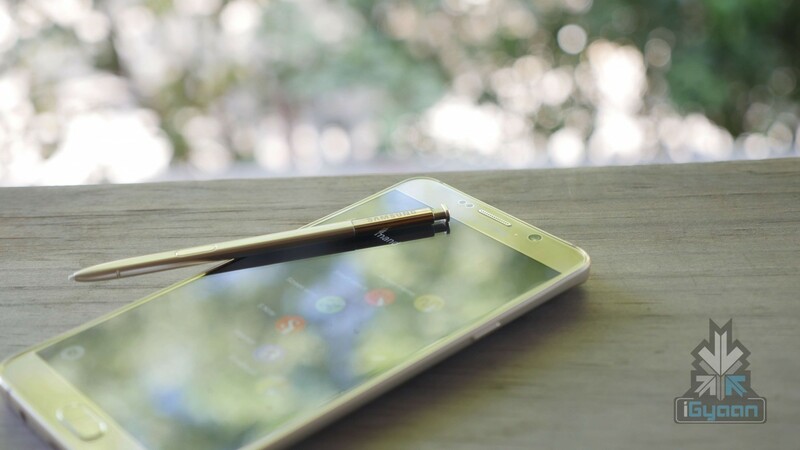 The new S-pen also has a new design and mechanism, however is riddled with major issues. The build is sold and feel of the handset exceptional, and even though the phone looks fragile it can take a whole lot of beating. 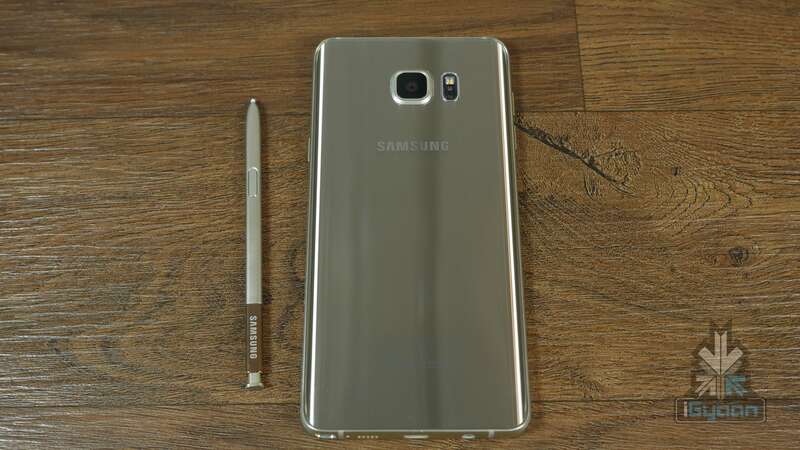 The metal alloy frame is solid and protects the Note 5 well and adds to a major premium look and feel, that the predecessors were lacking. 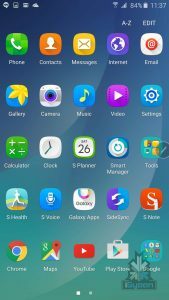 The Samsung Galaxy Note 5 runs on what is possibly the best version of Samsung’s skin called “TouchWiz”. This version turns out to be the best so far simply because it is the least invasive. 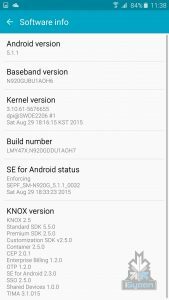 We saw the same OS on the S6 edge and edge+. 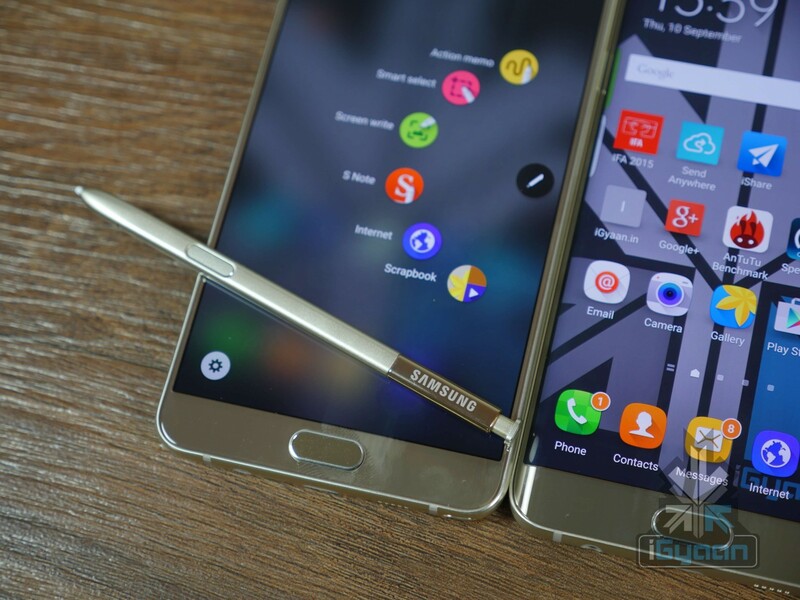 The one on the Note 5 however, is optimized for the new S-Pen. 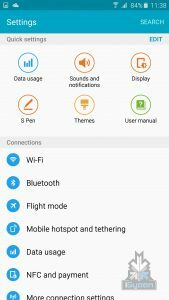 Although most of the menus are familiar and seen before on Samsung devices, some S-Pen features are new. The ability to take a note while the screen is off is the best of the lot of new improvement. 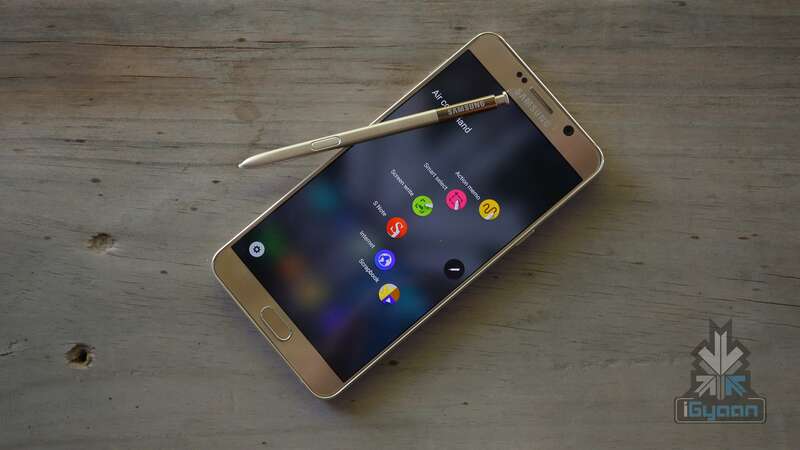 When the screen is off, simply pull out the S-Pen to enable this feature. The colours are inverted, the screen remains dark and the pen line is white. Other features include the Slick UI elements, use power buttons to increase or decrease screen font size. 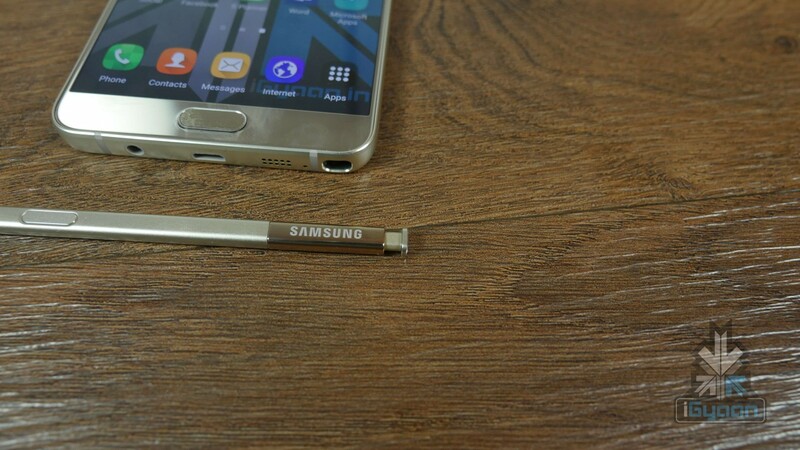 The S-Pen will give previews, just like before, and now the pop ups are super smooth. 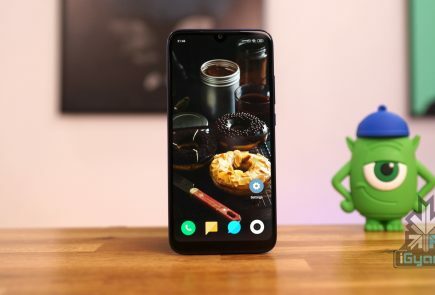 The new display is identical to the previous devices in terms of the resolution however the 5.7 inch size is larger than before and hence reduces the PPI to 518. The screen is bright, all 600 nits, and easily visible outdoors. The new set of speakers and microphones make the audio experience really good, the inbuilt speaker is loud and crisp with good amounts of mid tones and whatever bass levels you can achieve from a downward facing speaker on a smartphone. 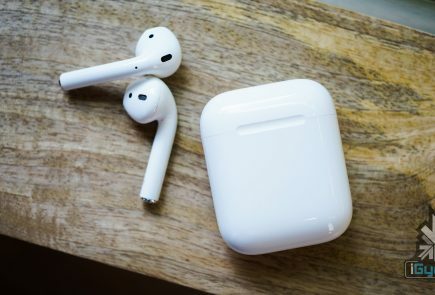 The earphone jack boosts audio well and you well get a lot of volume through earphones, whether included or otherwise. Since the hardware is top notch, you can expect it to smoothly sail through any media you may throw at it, no lag whatsoever in playback. 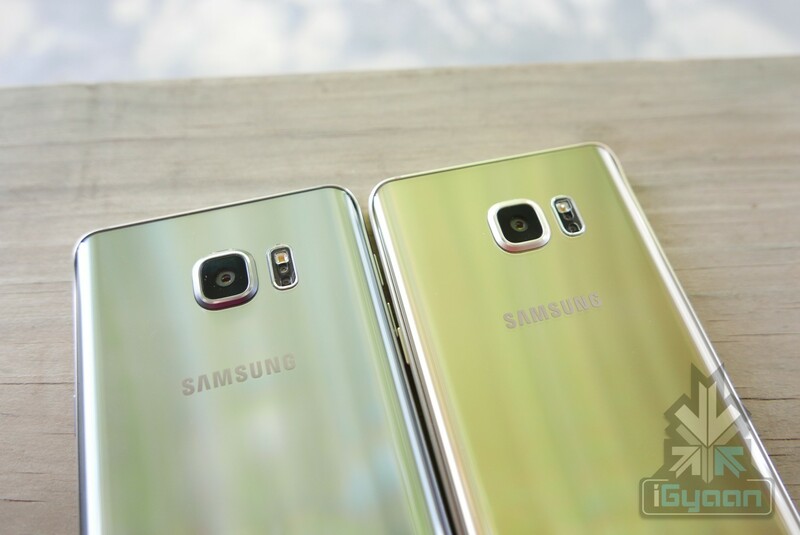 The camera is magic, is what we felt about the S6 and. the Note 5 is no less. 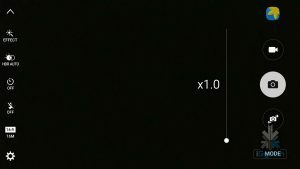 In fact the Note 5 is no more either – the exact same camera, the exact same lens setup, the exact camera software and the exact capability as well. The f1.9 aperture lenses are wide and capture a lot of information in the 16MP and 5MP images on the back and front respectively. 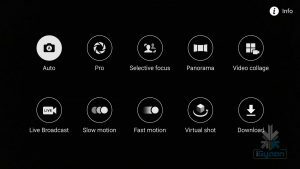 The camera app is impressive too and offers a lot of manual control, the pro mode rules in this department too. 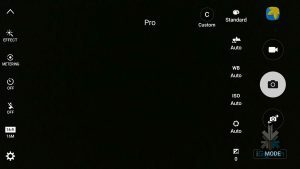 You can manually adjust any camera setting before you start to capture, or during your capture. 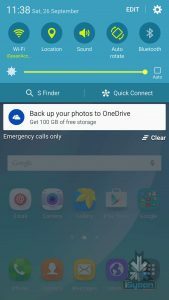 Optical Image Stabalization (OIS) works well too and you will mostly get really good pictures or video. Unless you are trying really hard not to. The problem with the camera is, that it will get confused with colours in low light situations, over saturating the reds and browns. Samsung finally has a camera that puts the iPhone down, however Samsung is missing out on Apple’s image processing and colour algorithms, which unfortunately work better. Compared to previous gen iPhones, the Note 5 will also do 4k video and do it well. Video is smooth, crisp and looks fantastic. “Pen Gate”, something that haunts everyone at Samsung today. The S Pen on the Note 5, when inserted the wrong way in, will not only get stuck inside the Note, but will also damage the sensing mechanism of the display. Basically rendering your phone into a regular non-Note Samsung device. 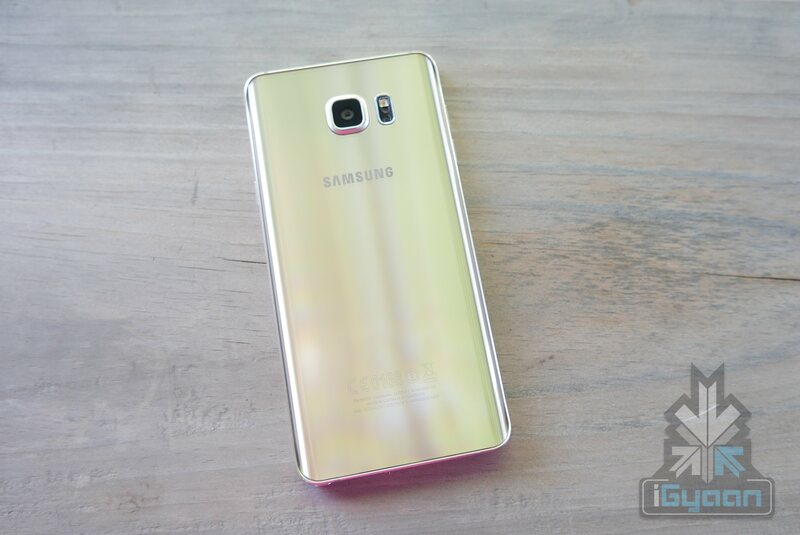 The only fix according to Samsung – “Don’t put it in backwards.” However, it’s not so simple. In a beautiful world people wouldn’t have cared, and 99.99% people won’t be stuffing their S-Pen backwards. 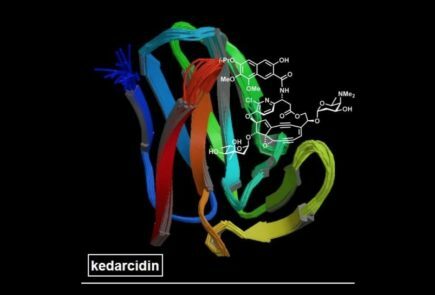 But now that it’s a known phenomenon, chances of it happening are a lot more. 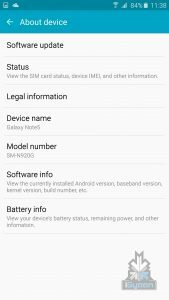 Samsung is not very friendly with repairs of such an accident and it might end up costing you several thousand to get the Note 5 fixed / replaced. Not a pretty sight. The, new design of the pen however is sleek and much appreciated. 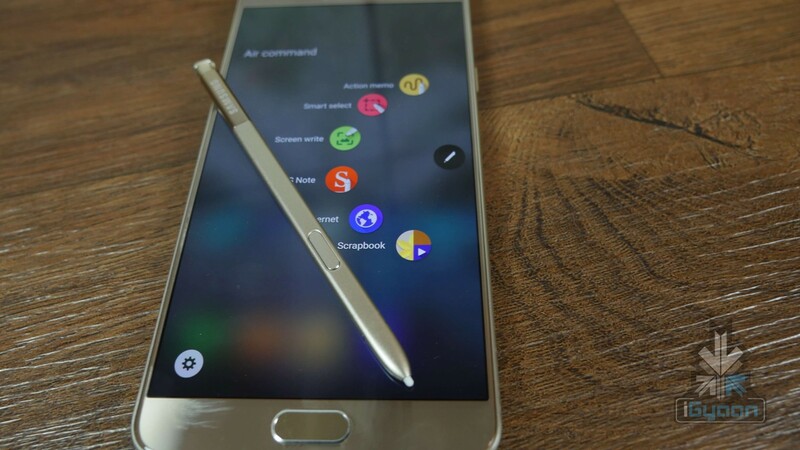 The responsiveness of the new pen on the Note 5 is highly improved over the previous generation Style. The click out mechanism is slick and works well, the girth of the pen is still too low and will not replicate the experience of using a real pen. Even though from a software aspect the handset does do that. The battery is large and you will easily get a full days worth of use. If you do not you can always charge it with a fast charger and get on with your life. Although 3000 mAh is enough, and lasts us a whole day it may vary for different usage case scenarios. Turning off things like “double click home to enable camera” will save your device from enabling the camera in the pocket and overheating to a toasty 60+ degrees. Pro Tip : Keep this feature off. If you can manage to keep the phone from turning on in your pocket all the time, it works great and will last a long time. If you are using the camera, the phone will get hot but has no real adverse affects on the performance or the battery life of the handset. India, initially gets the single sim variant, which works across the spectrum for 4G LTE and 3G as well as 2G, so you have all networks covered. Signal strength is decent although indoors it appears to be weak. Honestly, we can’t tell if it’s a network issue or a device issue. Audio quality in the phone call is mighty impressive, although the earpiece speaker gets a bit too bassy at times. You also have excellent noise cancellation built in and a extra volume more for those hard to hear conversations. “You What”? 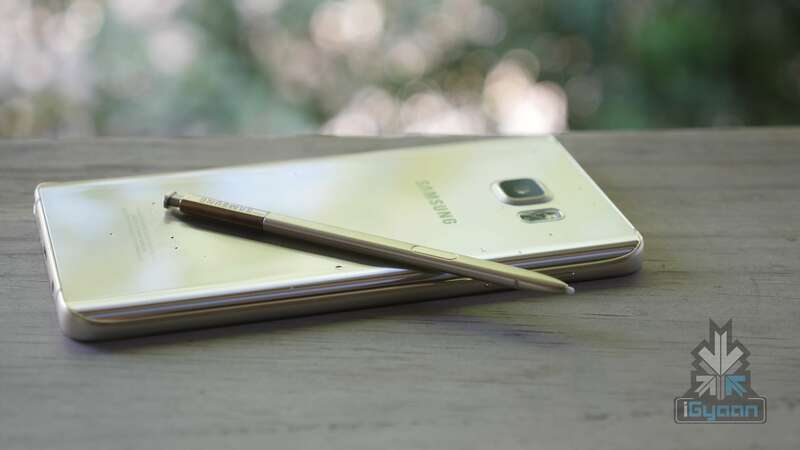 The new Galaxy Note 5 has all the Samsung tricks up its sleeve. Fast charging, Wireless Fast charging and an impressive and large battery too. You will also get Samsung Pay which is fantastic and works across the world with basically any existing magnetic stripe card reader. 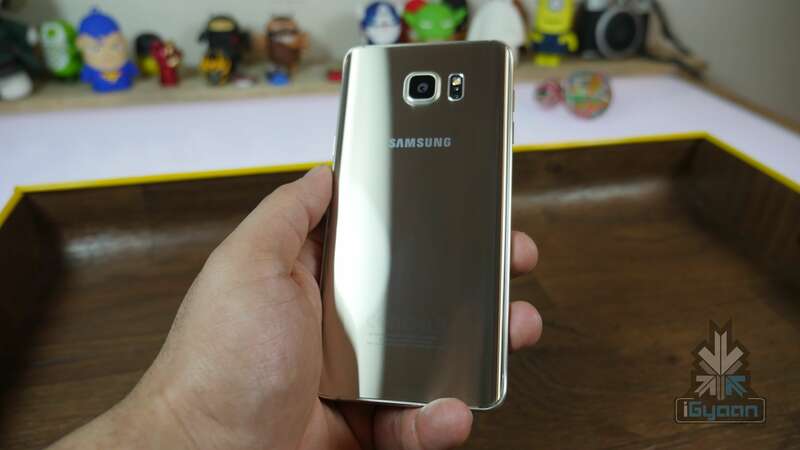 The Note 4 came with an edge variant, and we are happy that Samsung didn’t pursue that dream on the Note 5. The Samsung Galaxy Note 5, is a beautiful looking, robust handset that can outperform almost everything in the category. 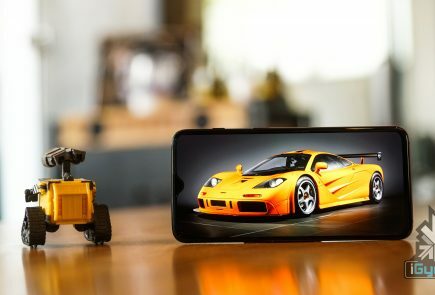 Samsung has figured out the balance between beauty and brawn and made it work exceptionally well for the new Galaxy devices. Putting the edge on the back of this massive device, gives a more reassuring hold to this otherwise slippery looking handset. The colors and materials give it the richness it needs and the hardware gives it the punch. 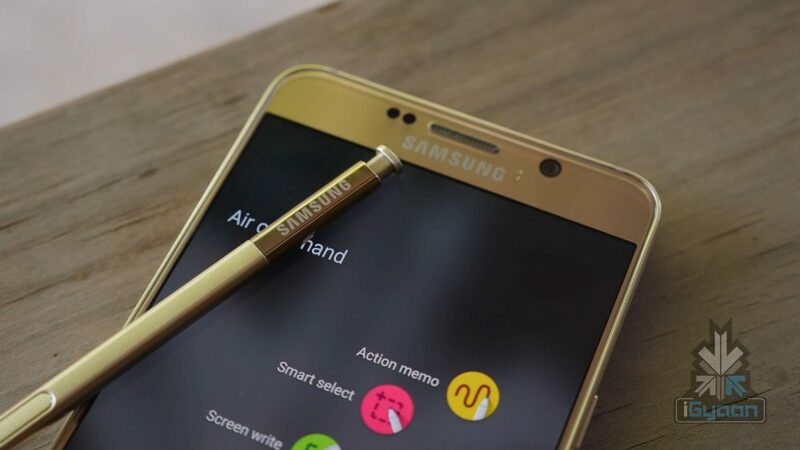 Just do not put the S Pen in backwards and you are golden. 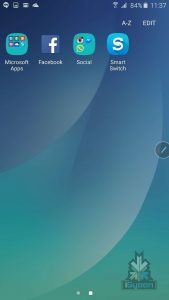 It gets top marks, but for a top price, making the Galaxy Note 5 from Samsung the best business Android Phone in the market, and the only in its class.